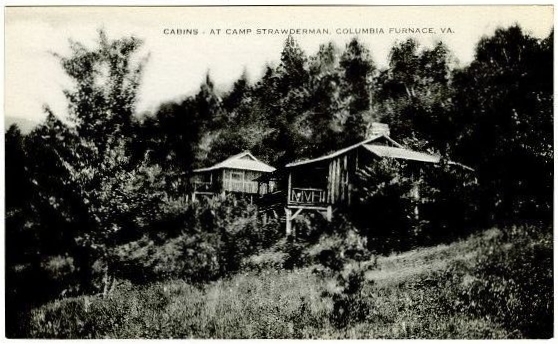 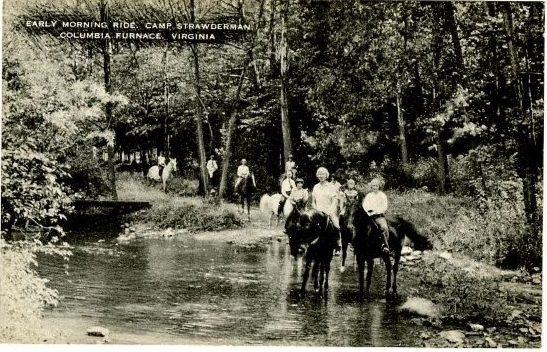 In 1929 Margaret Vance Hoffman opened Camp Strawderman on a plot of land located west of Woodstock, along Stoney Creek, in the Wolf’s Gap community. 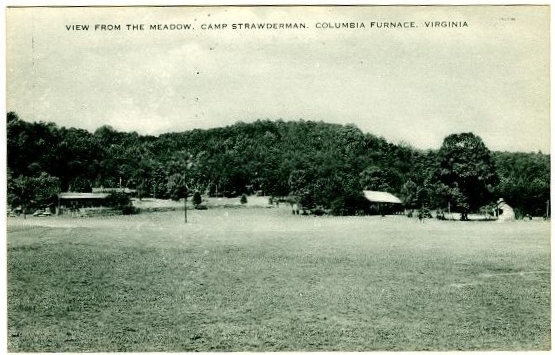 This land, originally owned by the Strwderman family for whom the camp is known, is known for its natural beauty. 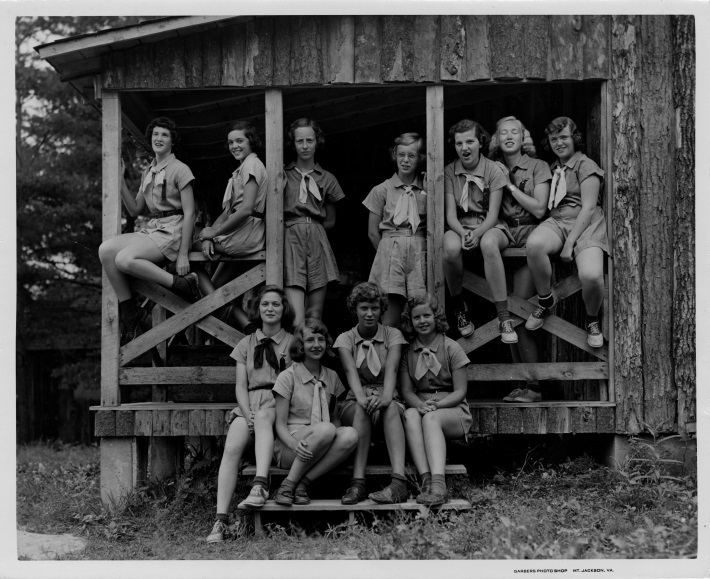 The girl’s camp Hoffman began was designed to give young women the opportunity to spend the summer in rustic style. 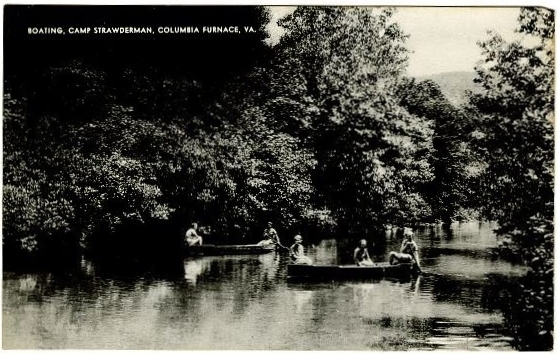 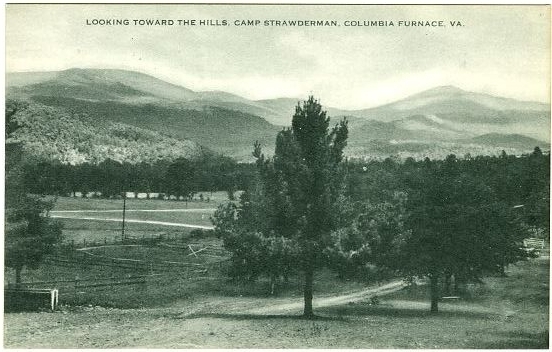 An early camp pamphlet promotes the beauty of the area, its “pioneer traditions,” sixteen sleeping cabins, pure mountain water, and secluded location. 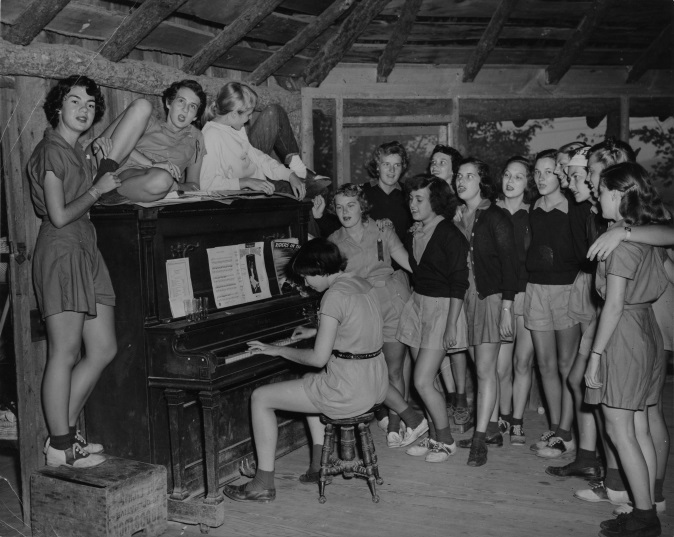 Girls between the ages of 6 and 18 were admitted for either a four or eight week period. 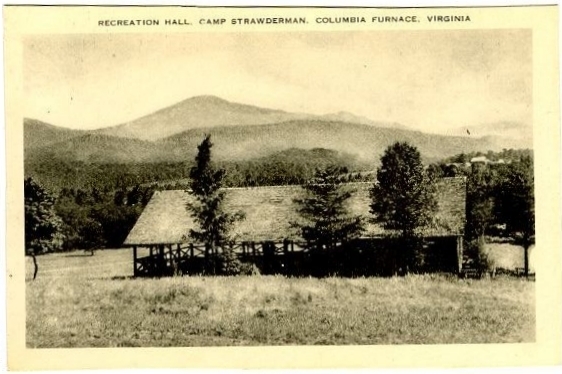 They had access to miles of trails, sleeping cabins, a recreation hall, craft facilities, and a swimming pool. 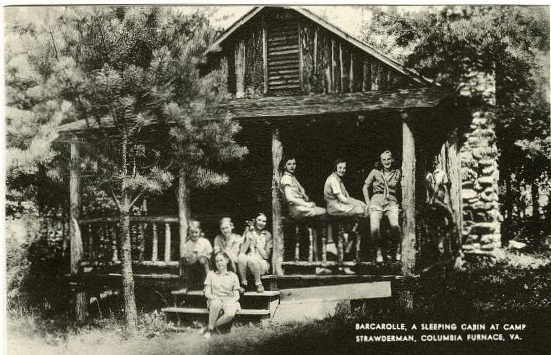 Their highly structured days were filled with horseback riding, campfires, parties, hiking, handicrafts, excursions, dancing, music, natural studies, dramatics, baseball, and basketball. 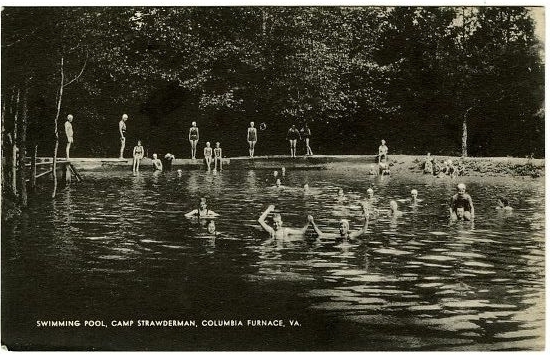 During the camp's early years swimming was one of its most popular activities. 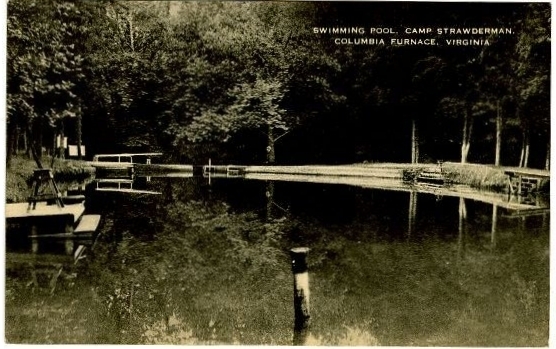 Campers could choose to swim in Stoney Creek or the site's swimming pool. 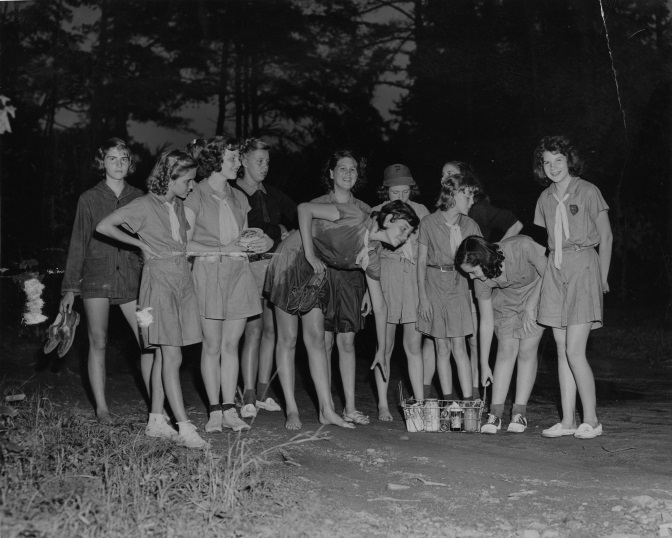 An annual water pageant was in which the girls celebrated the water, showcased their swimming abilities, and performed synchronized swimming displays. 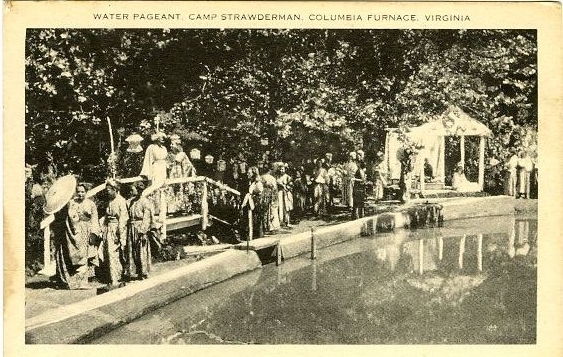 Locals also enjoyed the site, and the Woodstock Rotary Club co-sponsored a display of water prowess, complete with synchronized swimming displays, at Camp Strawderman to promote water safety in the 1950s. 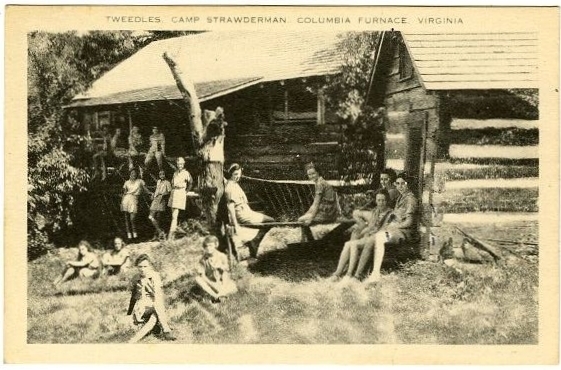 Today Camp Strawderman continues to operate as a camp for girls between the ages of 6 and 17. 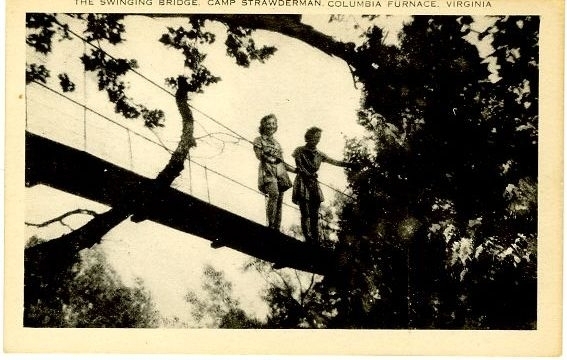 Operated by Hoffman’s niece, Margaret Gouldman, it retains many of the same traditions and activities that girls participated in 80 years prior. 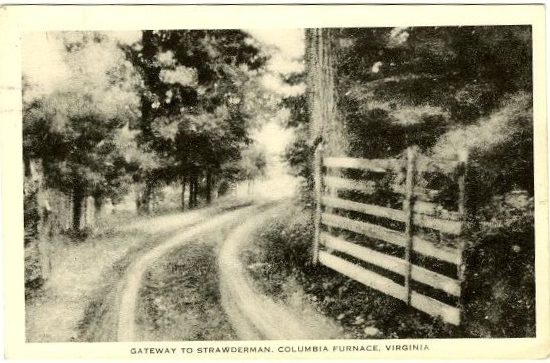 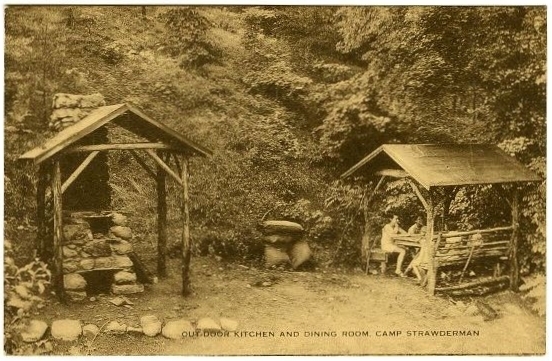 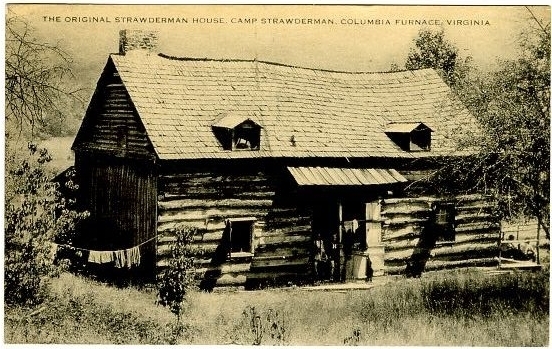 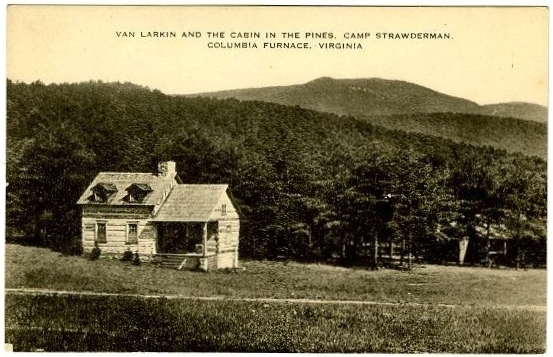 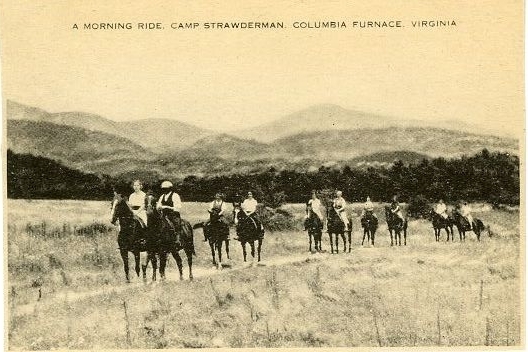 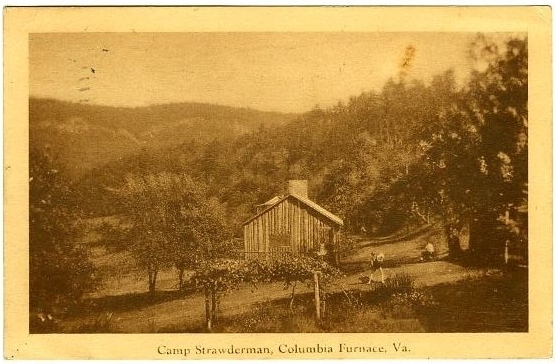 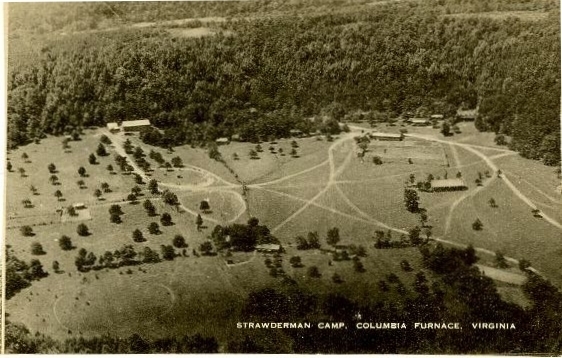 Shenandoah County Library, “Camp Strawderman,” Shenandoah Stories, accessed April 25, 2019, http://shenandoahstories.org/items/show/134.